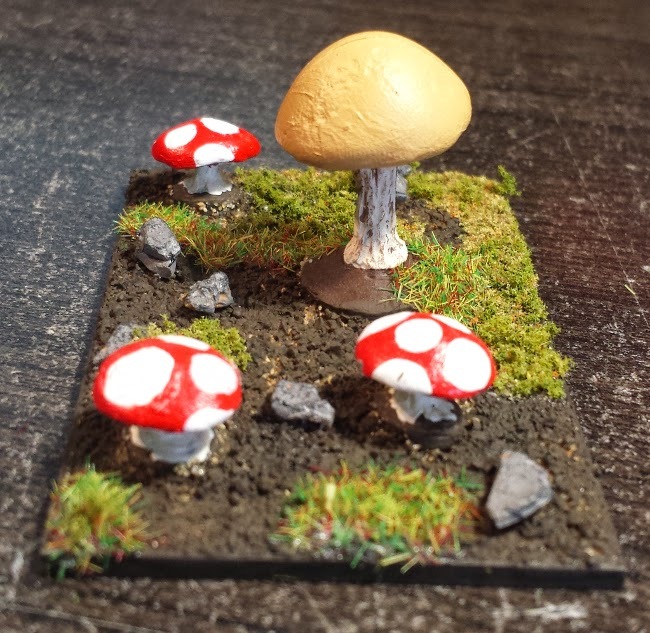 JADE Guest Kaila has painted a couple minis before, but her true passion is scenery! 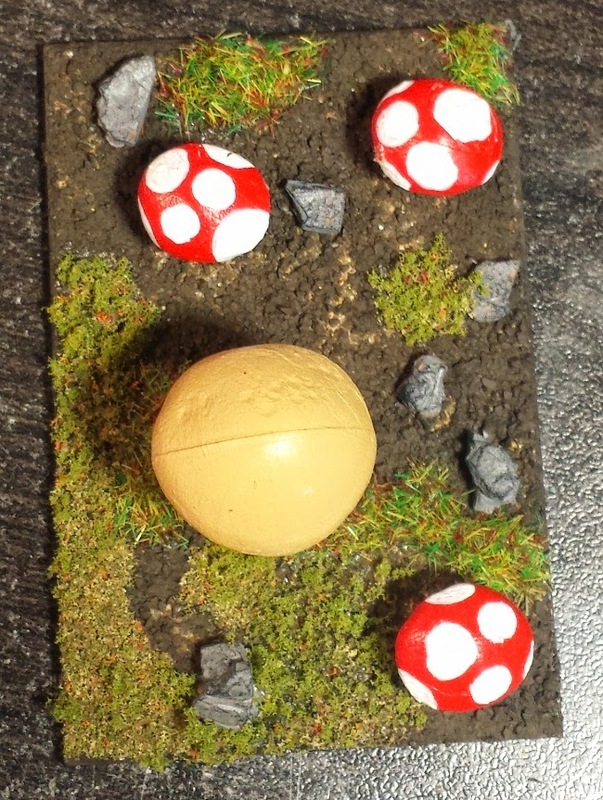 And so to give our forest scenes a little more magic, she created this little mushroom tile. 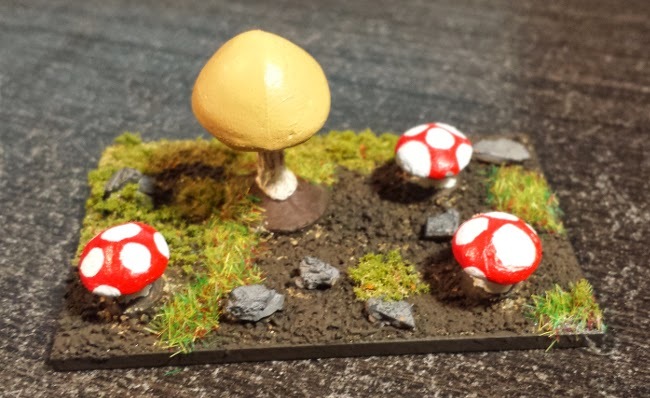 It adds some wonderful colour to any scene, and are especially useful in Ivershill with it's mushroom covered forests, and Orc World, where mushroom growth has been thrown out of control by a freak comet. Kaila has a couple more in the works, and I can't wait to see all of them finished!